Have you ever walked through a rainforest? It is a tangle of green and brown. The branches pushing and reaching for the light while the roots of the strangler vine snake their way down, grasping and choking anything that gets in their way and lianas twist and turn their way up through the dense foliage. 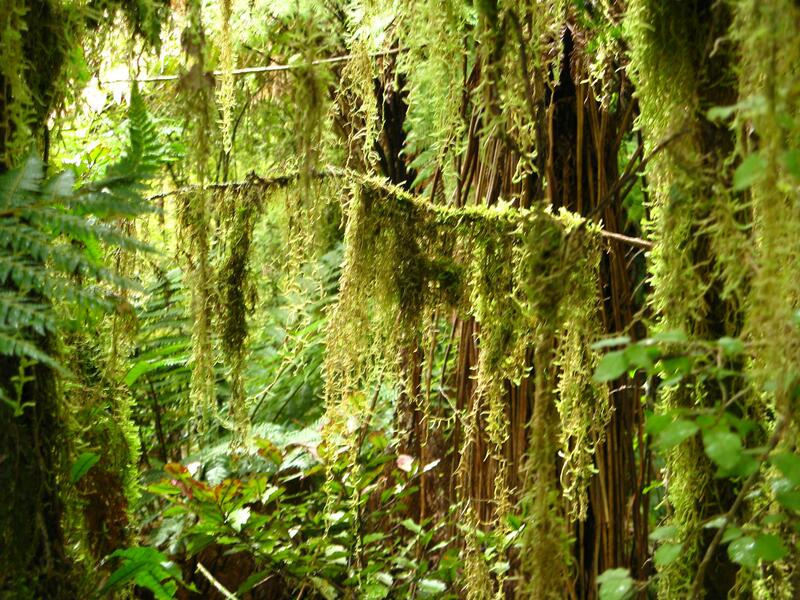 Over everything the mosses drape and drip in thick profusion. The light is dim and shadowy, unseen creatures can be heard shuffling through the thick undergrowth. The mood is charged with menace and an odour of decay pervades the air. Suddenly a ray of sun pierces the canopy and spears down providing light and life to the struggling plants on the forest floor and the sweet clear call of a bird breaks the silence. It is quite a special place. Great description and the photo of light is amazing. I spent a lot of time in south coast rainforest a few years ago and I found photos invariably disappointing. Yours are great. Thanks Meg. 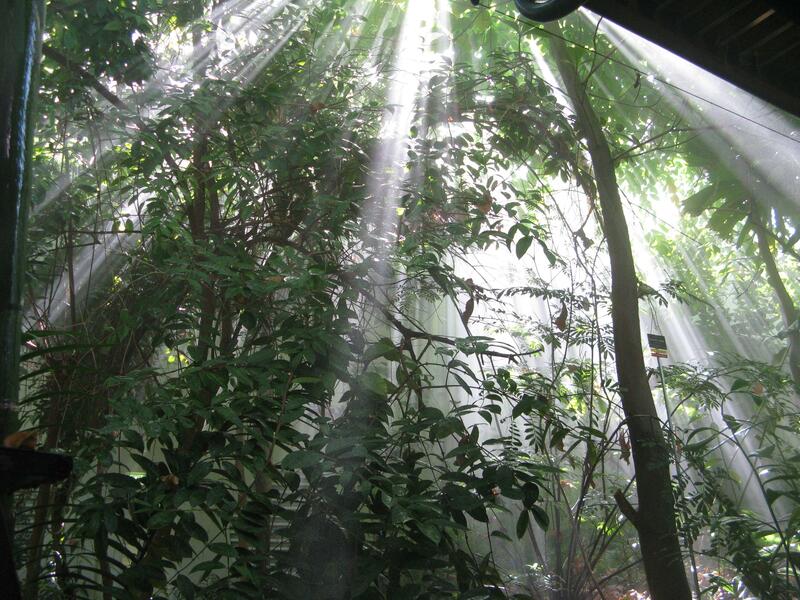 the light in rainforests can be quite difficult. It certainly is an all encompassing experience. Australia is a magical place! Lovely photos. G’day, thanks for taking the time to leave a comment, I agree Australia is a magical place. is that the call of the eastern whip bird then PP? I loved hearing this bird in the northern suburbs Sydney and I am sure that is what my D-i-L called it. I only managed to see one in an enclosure in the zoo, but heard plenty. I’ve only seen it once in the rainforest in the hinterland behind the GC. A place I would strongly recommend you visit if you get this way. Lovely comment, you must be an Aussie… The clear sweet call of the whip bird is so distinctive. That is a beautiful area of Queensland. The rainforest has a very special vibe. Hard to convey it in photos.